If you have not done so read Part 1: The Whitechapel Horror. First. 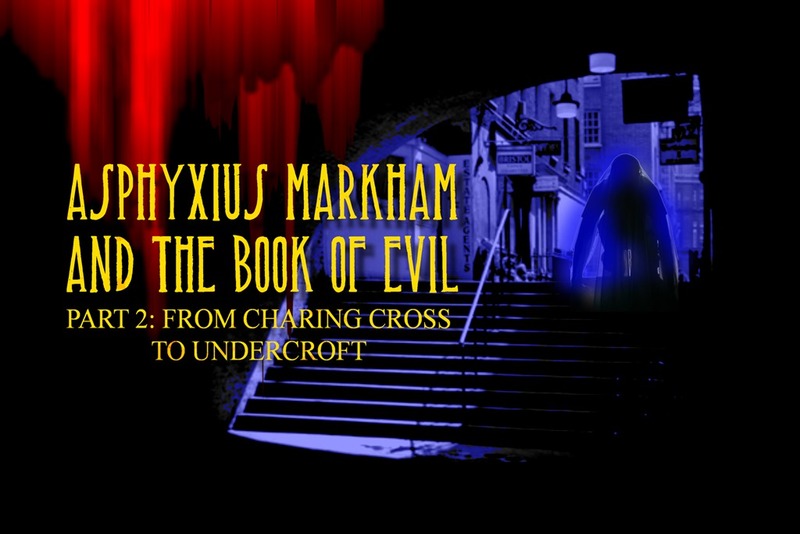 The sun was shining, though most of London didn’t notice as Asphyxius Markham and Dr Jonathon Wylie-Minogue walked down the Strand towards Charing Cross. On the concourse in front of Charing Cross station street venders and tradesmen of all kinds hammered the air with cries of loud proclooning and hefty belts of pride. “Come Minogue let’s set awhile and have our begloomed footwear tarted and preened by this steamy lad”, said Markham climbing into the chair and gesturing for Minogue to sit beside him. Minogue began to be entranced by this wonderful chair and the strangely hypnotic quality of this chirpy Cockneys gollyoinkering voice. “Note also how from these fine brass nozzles short bursts of steam blast onto the pans of polish, with the fury of a Brigadier finding The Kaiser a sitting in his own water closet, thus vaporising it and projecting a fine spray of waxy steam at the shoe. ‘Tis the modern ‘Spit and Polish’ Sirs, effective yet hygienic, then the brushes move about your feet faster than a mouse chasing his ladymouse when he has the urge to be a daddy mouse. As the brushes whirred and hummed around Minogues feet a gleam came to Markhams eye. He began resetting it to attend to Markhams shoes. Markham dismissed this with a wave of his hand. “Well, I don’t know if it would be right of me to say sir, but well sir, he strikes me as a bit of an odd sort. I hear him as it seems to be singing in a low voice but the words he sings if words they are, well they are foreign sounding sir. Quite makes my testacular partments stampede for cover. Then he’ll cry out at odd time ‘The Book, The Book it must be bound!’” most odd, but it’s an odd world right now. I hear tell of Sea Squirrels coming ashore in the docks, what could make them leave their watery dreys in the Sargasso Sea for dry land. “They swim on their back.” Said Markham and Sugar in unison. “As you wish, but I feel that you will soon receive a greater sum as reward for the service you have done London and possibly England this day. “Now Minogue, we have things to attend to and as luck would have it here are Constables Lampling and Bruntle.” He waved the Officers over. With that he flung the tiny bird into the air and flashed into flight wheeled around flew up speeding towards Whitehall and Victoria Embankment. Markham briskly walked across to where Clarence Edwards – Todd was readying himself for trade and was almost surprised when Markham seemed to appear from nowhere in his Chair. Quite oblivious to Lampling and Bruntle moving round behind him, Minogue blocking his escape from the side. Clarence Edwards – Todd, gave one gasp of anger and a look of cold evil hatred cast across his face, then in flash went, not for the needle concealed in the leather bags but for his razor and even as Markham screamed “SEIZE HIM” drew the blade across his own throat opening veins and began rapidly pouring life from him with the torrent of blood. “…The book is bound, and will soon be open.” Then laughed causing blood to splay everywhere saying, “Just a little bit off the top Sir?” and died with an evil smile across his face. As he lay there Minogue looked at the corpse and to Markham. “Oh no my dear friend, It’s only just begun. Indeed this has become much greater and as I feared the very realm is in danger.” He looked about him at London laid out before him watching it’s people, listening to the sound they made as they went about the simple lives and above even that clamorous hubbub in the distance he could hear a choir in St Martin in the Fields singing of hope and the greater love that surpasses all, and he shivered as not one of them suspected what horrors may about to be unleashed.